There is very good news for all the Delhi Metro commuters, they do not need to carry a metro card or token for fare payment. They can easily pay it through the smartphone. New Delhi: From the end of August the Commuters traveling to the metro airport line will not require a token or smart card. Smart mobile phones are only applicable for this not the feature phone. The Delhi Metro Rail Corporation (DMRC) in Airport line is going to start the facility for rent payment by scanning the QR code on all six stations of the Metro Line. According to DMRC, this facility will be available by the end of August. Two AFC (Automatic Fare Collection) Gates and two Gates have been earmarked for the purpose of scanning the QR code at each station. After scanning the QR code, the trial will go for more than two months for the rent payment. The airport line starts from New Delhi Metro station and goes to Dwarka Sector 21. There are total six stations viz. 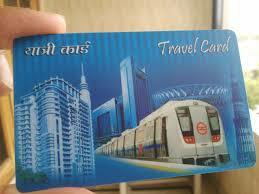 New Delhi, Shivaji Stadium, Dhaula Kuan, Delhi Arrow City, Airport and Dwarka Sector-21 Metro Stations. More than 50 thousand people travel daily on this. It connects the international airport directly. This is on the first line, where the entire section will get the facility to pay rent from the QR code. First to download the app by the name of RDLR from play store. After clicking on the DMRC, click on the QR ticket. After this, all six stations will be named on the mobile screen. Choose the Source and destination point. After selecting the station, the estimated rent will be seen on the mobile screen. After this, payment mode which will link the debit or credit card information. After saving the card, the rental money will be automatically deducted from the account. After this, a ticket with a QR code will be generated, on the screen of the mobile. That QR code needs to show at the newly opened AFC gate during entry and exit. DMRC facilitated payment of Metro fares with QR code at two stations falling between the Heritage Line (Mandi House from Kashmiri Gate) and Mandla House started from Lal Qila and Jama Masjid. However, this experiment was not very successful at these two stations. People did not get information because its promotion was low. There are very few passengers traveling between the two stations.